Home » Uncategorised » How much plastic do you drink per day? Yes, you read that correctly. Normally we are advised to watch how much water we drink per day. 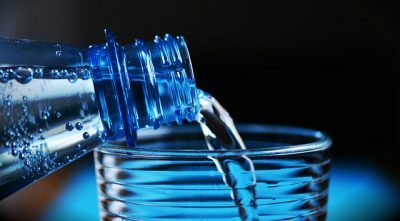 Too little can lead to dehydration and therefore stress, as well as lack of performance within your everyday life. However, we now have to be aware of how much plastic we drink per day. So what exactly does this mean? Well…there is plastic in your bottled water. Yes that’s right, the companies you trust, such as Evian, Aquafina, and Nestle Pure Life, all have plastic in their bottled water. Research was recently conducted by Orb Media, a journalism organisation that showed an average of 10 plastic particles per litre of water. In fact, each particle is larger than the width of a human hair. Currently there is no evidence to prove that consuming small plastics (micro plastics) is dangerous, but understanding the potential side effects is an area of science that is still being developed. You can read more in detail about the results of the study here where a full analysis is conducted on the different types of plastic found within the bottled water, including 16% Nylon. Next time you go to purchase a bottle of water, be warned; consume at your own risk due to the large amounts of plastic found in the liquid..